Just over a million students play high school football in the United States. Out of all the high school players, 6.5 percent go on to participate at the collegiate level and of the 70,000 NCAA collegiate football players, only 1.6 percent eventually go on to play in the NFL. Every year, the NFL drafts around 256 players through seven rounds. Damian Swann, a Grady graduate and former Georgia Bulldog, joined this elite few when he was selected in this year’s NFL draft. With the 164th pick in the 2015 draft, the New Orleans Saints selected the UGA graduate in the fifth round. 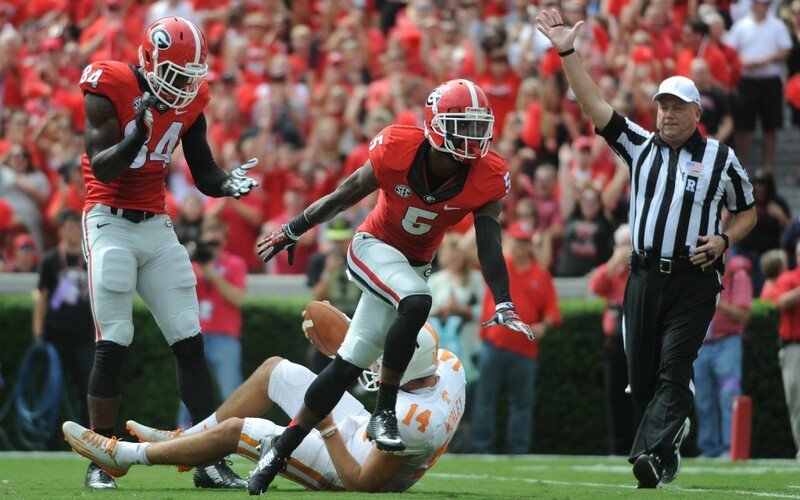 Grady has a recent tradition of football success, and no one embodies that success more than Damian Swann. The Grady alumnus just finished a very successful senior season at the University of Georgia. During his final year as a Bulldog, Swann collected four interceptions, a team high four forced fumbles and was named second-team team All-Southeastern Conference. Although Swann was a standout at Grady, he did not have an immediate impact on the field at UGA; in fact, he did not start his freshman season. Swann’s abilities and confidence landed him a starting spot on one of the nation’s best teams when he was a sophomore. After two years of practice, he was ready to take his place in the starting lineup. Swann said that success his senior season was in large part thanks to the defensive system implemented by new defensive coordinator Jeremy Pruitt. This new system not only helped Swann excel at UGA, but also played a pivotal role in improving his prospects for the 2015 draft. Along with his accomplishments on the field, he caught NFL teams’ eyes with his results at the NFL combine. Swann showcased not only his physical strength but also his mental toughness. “There are a lot of things that go on [at the combine] that nobody really knows about, like all the meetings with all the teams and the meetings with the doctors,” Swann said. One of five defensive backs the Saints have obtained this offseason, Swann has a chance to come in and make an impact immediately. Although he was drafted, his spot on the team is not guaranteed. Getting drafted is just the beginning of his NFL career. Swann will now go on to participate in the Saints training camp to compete for a roster spot. Based on his performance in college, Swann has a legitimate chance at making a big difference at the next level, thanks to his ferocious blitzing ability, good bump-and-run skills and an extraordinary intensity that he brings to the field. His experience as a leader and his ability to overcome adversity should translate well to the next level and give him an opportunity to make big things happen.